FYI - I'm on Instagram. I post pictures on Instagram about once a week. Or sometimes I post pictures on Instagram for about 0.01 seconds, since I don't necessarily want to share the photo, but I want to achieve the "Instagram effect." I've learned that if you post it and immediately delete it, the photo will still save to your camera roll on your iPhone. My parents are confused right now. I often steal the spotlight with my incredible poetic abilities; however, Brian is the true artist among us. 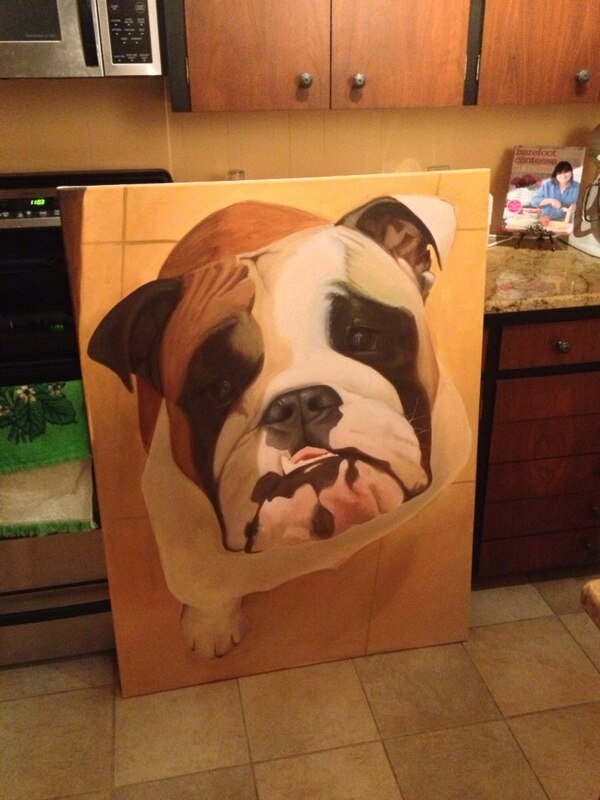 When Otis first saw the painting, he was immediately humbled. Thank you for capturing my beauty, my essence. Now we just have to figure out where this beautiful portrait will be on display. Kel - this is AMAZING!! 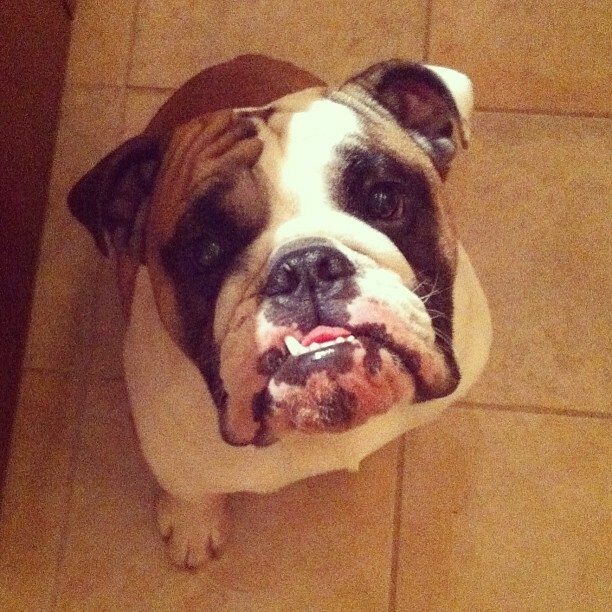 We were just thinking of getting someone to paint our pup, Logan (there is a local artist in Boston that does this). Brian is so talented! This is now one of the most cherished items in my home.